Offer applies to Super Saver Shipping within the contiguous U.S. and APO/FPO. Not available on shipments to AK, HI, U.S. Territories or orders shipping internationally. Offer does not apply to John Boos & Co. products, perishable food from Paula Deen and cookbooks shipping from Jessica's Biscuit. Cannot be combined with other special offers, including affiliate site offers, rebates or miles, or promotional gift certificates. Cannot be applied to previous purchases. Terms subject to change at any time without notice. Limited time offer. Act now and save. Save up to $150 off. Must be a Cooking.cim Rewards member. Save up to 50% off select processors. You don’t need to train the Cordon Bleu to be a top notch chef, what you need is the right culinary equipment. Now you can make all your meals foody masterpieces, all your dinner parties delightfully delicious, with a little help from Cooking.com. They have tens of thousands of cooking appliances from some of the most well-respected names in gourmet cooking to help turn up the heat in your kitchen. If you use a Cooking.com coupon code, you can watch those costs just melt away. Whether you're steaming some string beans, or filleting filet mignon, the secret is in the tools. Find all the cookware you need to be a confident chef at Cooking.com, and now use a Cooking.com coupon code to top off your order. Follow the how-to recipe below to make your Cooking.com checkout a piece of cake. Check our pantry stocked with great Cooking.com coupon codes and deals, and select the one that goes with your purchase. Click "Get Code" or "Get Deal" and a new window will pop-up. In that new window you'll find the Cooking.com coupon code. Highlight the code and copy it. Keep the window open just in case you need to check up on it later. Browse the huge selection at Cooking.com and add the right products for you to your cart by clicking "Add to Cart" next to the item. After you've crammed your cart with cookery, you can start your next course: checkout. In your shopping cart click "Start Checkout Now" to begin the process. 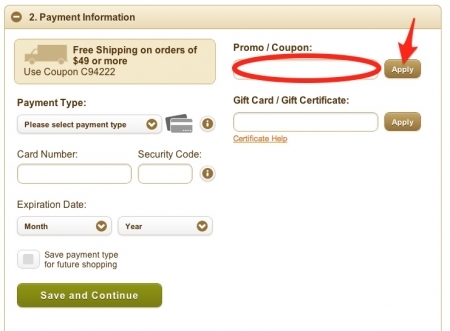 When you begin to enter all your payment information, you'll also be able to input your Cooking.com coupon code. Locate the box that reads "Promo / Coupon" and paste the Cooking.com coupon code from before, and click "Apply". Once all your information is inputed, you're ready to checkout and getting to cooking. If you’re on a mission to make the best homemade meatballs, you can’t let anything get in your way. So if you’ve got any questions or concerns about your Cooking.com coupon code or shopping experience, take a look at these helpful FAQs and answers. Why isn’t my Cooking.com coupon code working? 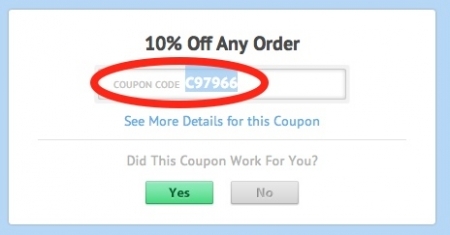 Your Cooking.com coupon code might not be working for two reasons. The first is that the Cooking.com coupon code has expired, and can’t be redeemed on any order anymore. So check to see if it has expired. If it hasn’t, the other thing that might be happening is that you haven’t met the minimum order requirements of the Cooking.com coupon code you’re trying to use. Some Cooking.com coupon codes are for certain orders or discounts off minimum purchase amounts. Why can’t I find the Cooking.com coupon code I’m looking for? We’d like to have a coupon to suit everyone’s palate, but unfortunately the Cooking.com coupon codes you see on our site are the only one’s available at that time. 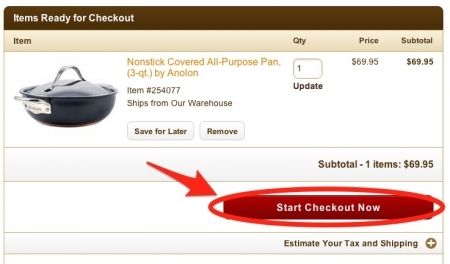 Though check back in regularly, we’re always pulling out new Cooking.com coupon codes from the oven. How do I contact the Cooking.com customer service? Can I gift wrap my Cooking.com order items? Yes you can. During checkout, indicate which items you’d like to be wrapped. Gift wrapping costs $4.95 per item, and Cooking.com will even throw in a complimentary card per order. What is Cooking.com’s return policy? How do I sign up for the Cooking.com newsletter? You can sign up for Cooking.com’s helpful newsletter by entering your email address and selecting which features of the newsletter you’d like to receive, and then click “Submit”. Yes! Cooking.com ships cooking supplies to over 90 countries. On the homepage, above the checkout button you can change your country where it says “Ship to” next to the flag of your destination’s country. Want to turn your home kitchen into a state of the art, restaurant-grade cooking arena? We thought so. Cooking.com is dedicated to helping you find all the culinary products you need, so they offer over 60,000 cookware and kitchenware items, from egg beaters and fun fondue sets, to barbeque grills and easy-to-use espresso machines. Cooking.com doesn’t half-bake their website: in addition to their numerous product offerings, they also include product reviews, how to videos, recipes, cooking techniques and buying guides, as well as a vibrant and contributing community of food lovers and expert chefs. There’s never too many cooks in the kitchen at Cooking.com. If you’re looking for the right set of pots and pans, consult Cooking.com’s comprehensive Buying Guide to learn all about the products perfect for you and your culinary needs. All the information you find in those guides comes from the expert book The New Cooks’ Catalogue by Burt Wolf, which bears the silverware standard for its high-quality, everything cooking-related content. Cooking.com has been, well, cookin’ since 1998, when it was founded by a team coming from the Walt Disney Corporation. 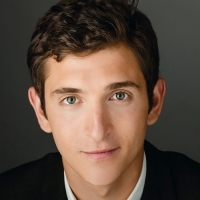 They immediately partnered with initial investor Idealab as well as a cookbook publisher. The partnership proved a recipe for success: the right mixture of retail knowledge and cooking experience, and voilà, Cooking.com started to simmer. Fifteen years later Cooking.com operates and manages a number of speciality sites for the Food Network, Calphalon, Rachael Ray, Betty Crocker, and others. In the past couple years alone, Cooking.com was awarded the 2010 Tasty Awards for their YouTube cooking-themed web series, was a 2010 Housewares Design Awards Honoree, and took home the Web Marketing Association’s 2008 WebAward for Best Shopping Website. 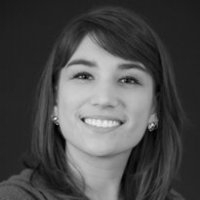 Their expertise has also won them partnerships with Target, a Finalist position for the 2013 eTail Best-In-Class Awards, and is the favorite among professional chefs and enthusiasts for their extensive product line. For the finest in cookware, feast your eyes on the Cooking.com selection. But don’t let these deals go cold, use a Cooking.com coupon code now to sweeten your purchase with some savings. If you know a cooking fanatic, you know that they love nothing more than getting awesome tools or gadgets to use in their kitchen. Cooking.com provides you with a huge inventory of cooking essentials, with everything from bakeware and appliances to knives and goumet foods. We’ve come up with handy gift ideas for that special chef in your life. Even if your friend lives in a tiny apartment with no backyard grill, they still probably crave the taste of grilled food. So, indoor grills can be the perfect gift (even if they’re pro-BBQers.) A great option is the Smart Smokeless Indoor Grill, which is actually pretty inexpensive since it runs for $59.90. This grill, and others like it, are perfect for everyday dining or entertaining--and you’ll never have to worry about the weather affecting the food preparation. Cooking.com has a nice selection of indoor grills that are perfect for gifting. Any legitimate chef knows that it’s all about the seasoning. If the recipient of your gift-giving is a true gourmet, they’ll go crazy over the Ultimate Gourmet Salt Collection. This gift, made by the Spice Lab, has 11 of the hardest-to-find salts in the whole world, and they’re ideal for experimenting with different flavors. Cooks will also love any kind of BBQ rubs or special seasoning collections. If you watch cooking shows, you’ll find they always talk about the importance of having good knives when you’re a chef. Equip your friends or family with the best knives on the market, and they’ll feel like they can cook anything. Knife sets like the Fine Edge Synergy Knife Block Set by J.A. Henckels International are the perfect addition to any kitchen. Cooking.com also offers deluxe knife sets from Kyocera, Paula Deen, Schmidt Brothers, Wusthof, and many others. There’s nothing better than homemade pasta, and if you give a loved one this gift, you’ll most likely get to have it more often! Making fresh pasta is easy if you have pasta makers like the Imperia Pasta Machine by CucinaPro. You can also find a huge selection of ravioli makers and pasta drying racks at Cooking.com. Get ready for a taste of Italy at home. Sushi is all the rage at hot restaurants (probably because it’s so delicious!) But sometimes dining out on sushi can be pretty expensive. That’s why the gift of a Sushi Kit is such an awesome present! This 10 piece collection by Sushi Chef is perfect for beginners because it comes with a cookbook and most of the main ingredients you need. This is also a great gift for people who entertain frequently. Sometimes finding the right gift can be difficult. Cooking.com takes out all the guesswork by providing you with awesome gift ideas for that special chef. Plus, when you use your Cooking.com coupon code, you’ll be cooking up some extra savings!